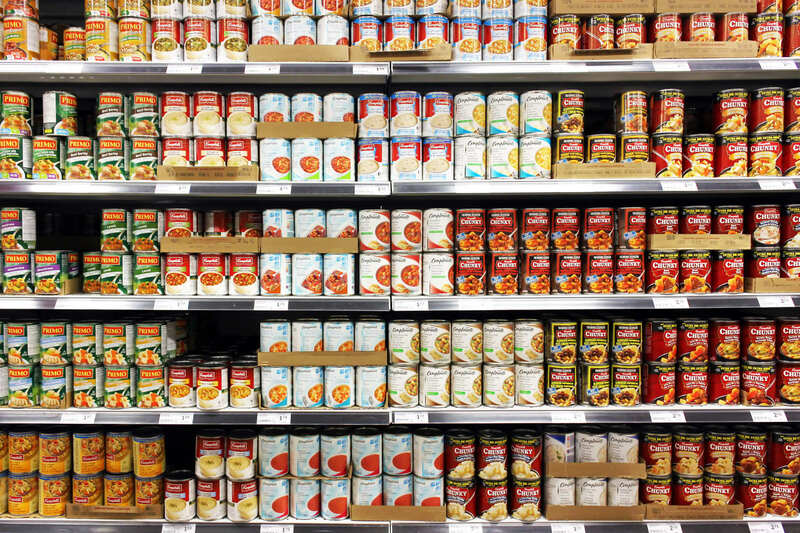 Is Canned Food as Nutritious as Fresh Food? When it comes to veggies, the more you eat the better. But of course, not all vegetables are created equally. Eating iceberg lettuce, which is basically a vehicle for salad dressing, just won鈥檛 deliver as many nutrients as a powerhouse like broccoli or kale. And then, there鈥檚 the question of where you get your vegetables鈥� from the produce section, the freezer, or the canned goods aisle. Research reveals that fresh and frozen produce are basically equivalent nutritionally 鈥� in fact, with some vegetables, such as green beans, frozen has an edge over the limp, past-their-prime version in your fridge. But what about canned vegetables? Are budget-friendly, long-lasting canned veggies a good, healthy alternative to fresh? To find out if you should keep your can opener at the ready, we checked in with Diana Orenstein, RD, a dietician at Newton-Wellesley Hospital, who shared some considerations to keep in mind. Canned veggies offer all the nutritional benefits of fresh ones, making them ideal for when you don鈥檛 have the time 鈥� or inclination 鈥� to scrub, trim, and chop fresh vegetables. 鈥淭he amount of most nutrients is the same,鈥� says Orenstein. Here鈥檚 why: As with frozen foods, fruits and vegetables are often canned immediately after being picked, when they contain their peak levels of nutrients, explains Orenstein. And canning, she says, doesn鈥檛 affect most nutrients. 鈥淚n fact, sometimes the heat involved in the canning process can make some nutrients more accessible,鈥� Orenstein points out. One exception: Some water-soluble vitamins 鈥� such as vitamin C and B vitamins 鈥� may break down a bit during the canning process, Orenstein says. When you buy fresh vegetables, you have to cook them right away 鈥� or at least within a few days or a week of purchase. Canned vegetables, in contrast, last for years in your pantry 鈥� no need to worry about them looking sad, developing soft spots, or devolving into mush. 鈥淕iven their low cost and long shelf life, canned fruits and vegetables can be a great alternative for someone on a tight budget,鈥� says Orenstein. Look for canned vegetables that say 鈥渘o salt added鈥� or 鈥渟odium-free,鈥� recommends Orenstein. You can also rinse them with water to help remove any added sodium, she says. Bisphenol A, more commonly known as BPA, is an endocrine-disrupting chemical that鈥檚 used in the lining of cans. While the FDA asserts that the amount of BPA found in packaged food is safe for consumption, BPA has been linked to some cancers, infertility, type 2 diabetes, and other conditions. The thought of consuming any amount 鈥� even a small amount deemed safe by the FDA 鈥� may make you feel uneasy. If so, Orenstein notes that 鈥渕ost manufacturers have removed BPA from cans as a precaution.鈥� You can search the Environmental Working Group鈥檚 Food Scores site to find out if a brand is suspected to use BPA. Should You Opt for Canned Goods? Orenstein says that experts found that 鈥渢he known benefits of consuming fruits and vegetables far outweigh any concern鈥� about BPA. If you feel similarly 鈥� or if you have opted to seek out BPA-free cans 鈥� you can enjoyed canned vegetables knowing they鈥檒l deliver all the nutritional benefits you鈥檇 get from fresh ones. 鈥淲hen it comes to eating fruits and vegetables, there is no bad choice. Eating any fruit or vegetable is making a positive choice for health,鈥� says Orenstein. So go ahead: get started eating the 2.5 servings of vegetables that the Dietary Guidelines for Americans recommends 鈥� in either the canned, fresh, or frozen form.